The industrial style of this sturdy design from Restoration Hardware won't be lost on guests. A solid wood surface that lifts, lowers and tilts to suit the user's needs makes this more than just an eye catching piece of decor. 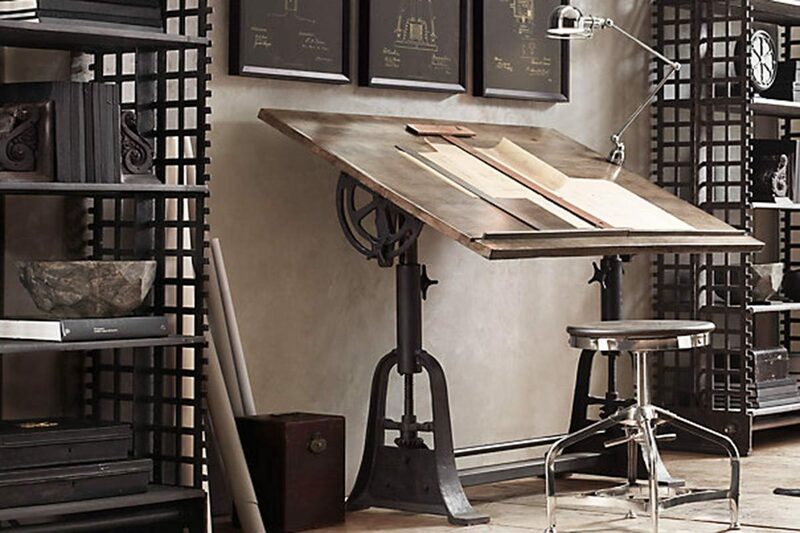 The 1910 American Trestle Drafting Table can be picked up from Restoration Hardware for $1495. This desk from West Elm can fit in with a number of different decor styles but will easy find its way into your industrial space. The salvaged wood and exposed iron make this piece a bit of a chameleon. 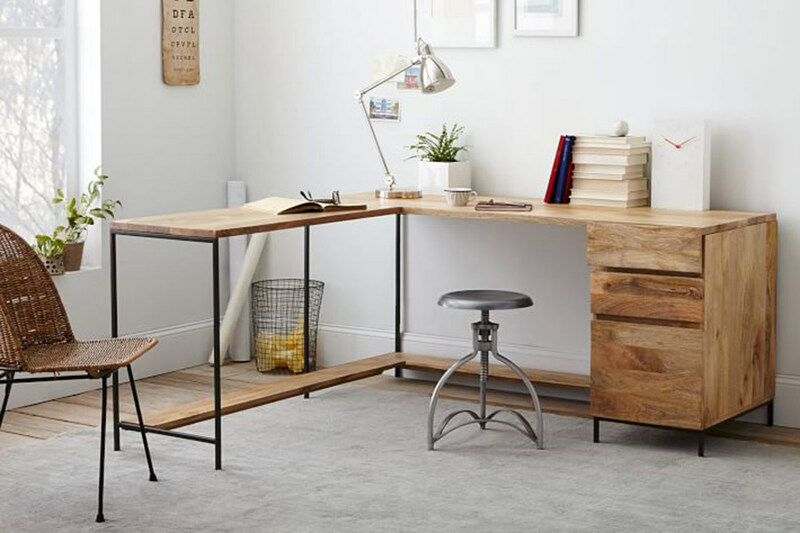 This L-shaped desk can be purchased from West Elm for $1399. A classic design from Restoration Hardware that anyone who appreciates the industrial style should consider purchasing. This desk will last forever and can serve any number of purposes. The castor wheels make it mobile and dynamic and the lack of storage makes it modular and flexible. This is one of our favorite options and can be bought for $695-995 from Restoration Hardware depending on size. 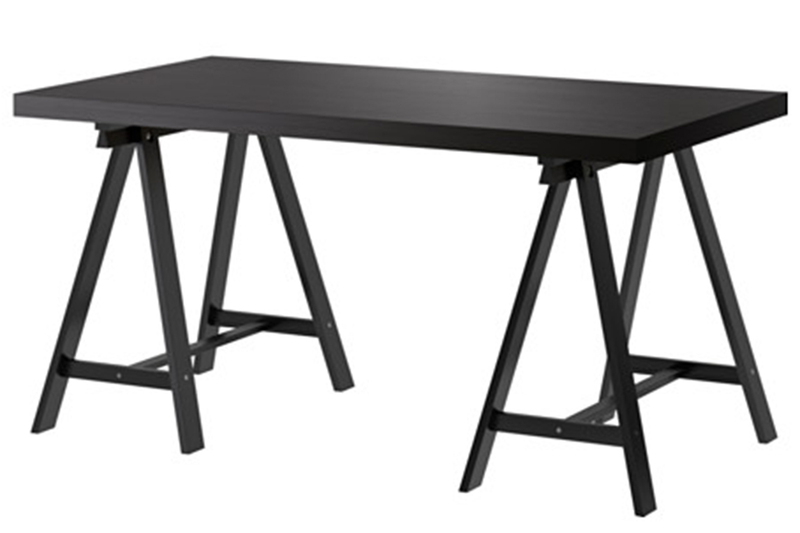 Not the most "industrial" option on this list but the beauty of the Pilsen Graphite Desk is that it doesn't fit with any particular style. It happens to work with many! In this case the exposed metal frame will go great with most industrial decors. 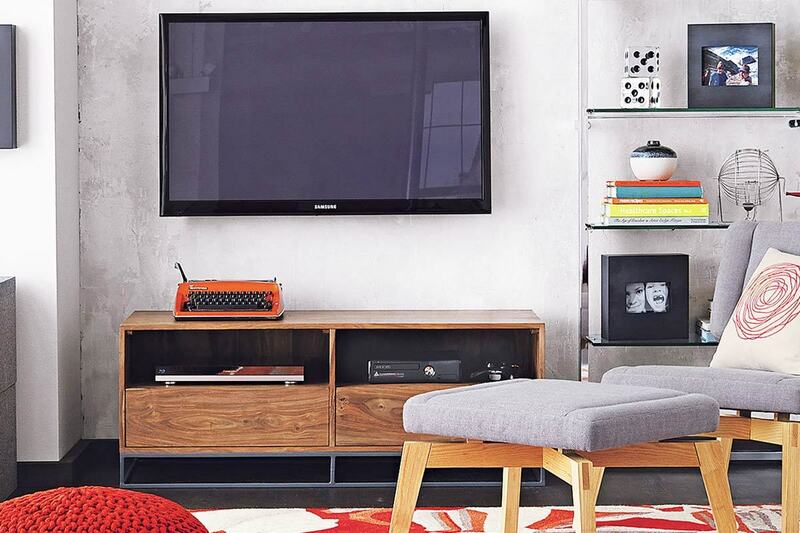 You can take this desk home for just $199 from Crate & Barrel. Rustic and industrial. 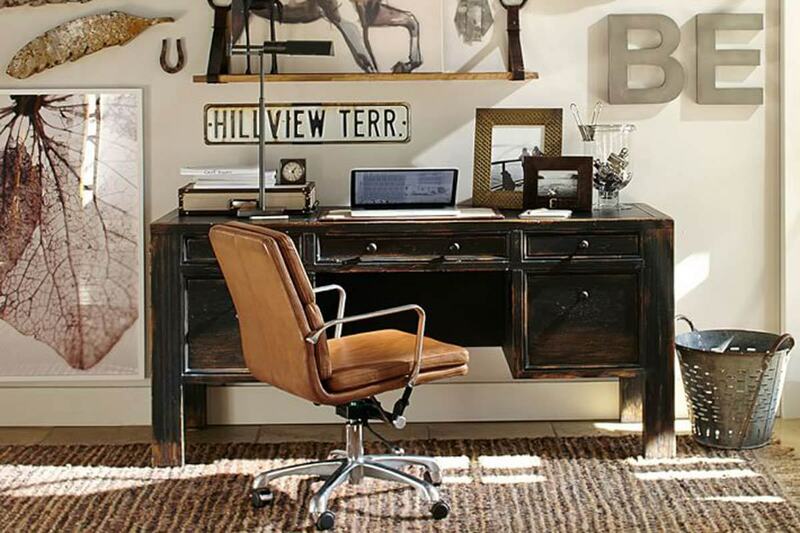 This desk from Pottery Barn can play both those roles with ease. Blackened and aged wood make it a great fit for anyone trying to evoke the feel of an old industrial office in their home office. This desk doesn't come cheap but can be picked up for $1499 from Pottery Barn. If there's one thing Ikea is great at it is creating simple pieces that blend in and do their job. This build will perform well as a desk and doesn't have to blend in. Position it well in your home or apartment and it can be a quite an eye catching way to play up the industrial feel of your decor. The TORNLIDEN/ODDVALD can be built for only $79.99 from Ikea. 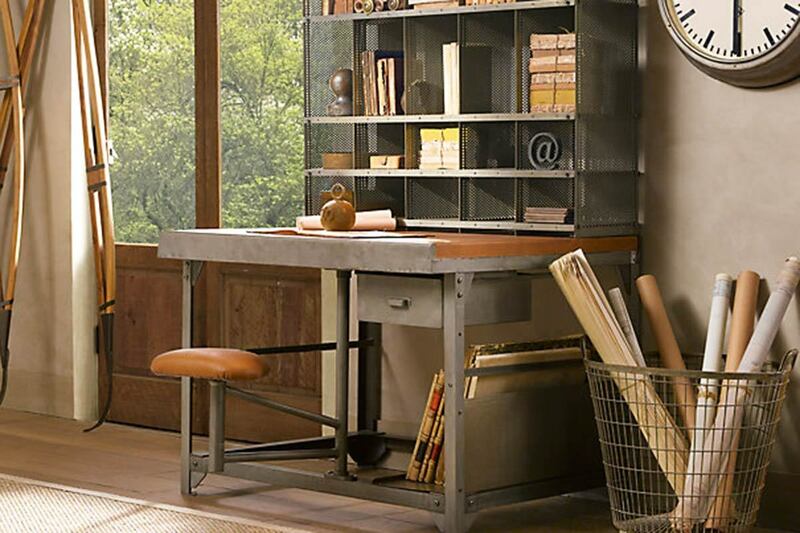 Use an industrial style chandelier or industrial mirror to really play up the subtle qualities of this desk. This stand out piece hardly needs a description. It does all the talking on its own. Polished aluminium panels and exposed screws perfectly evoke the stylings of a mid-20th century aircraft. 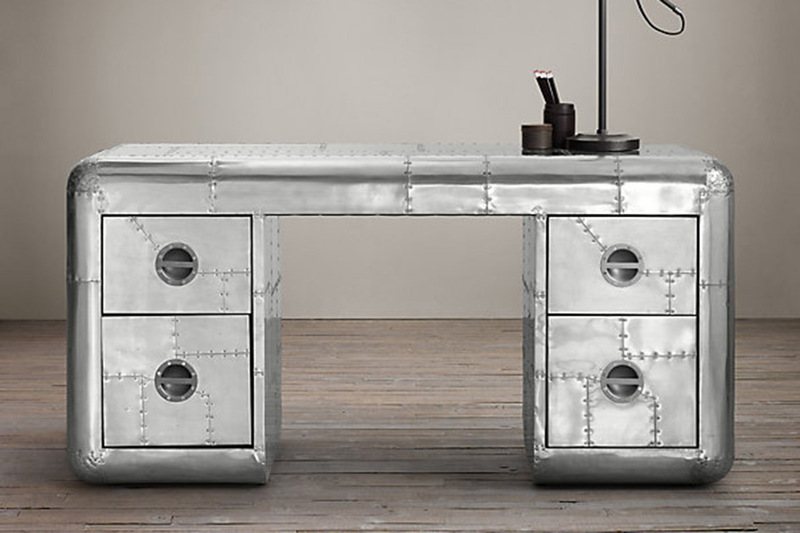 If you want your home to feel a bit like a factory then this is the desk for you. 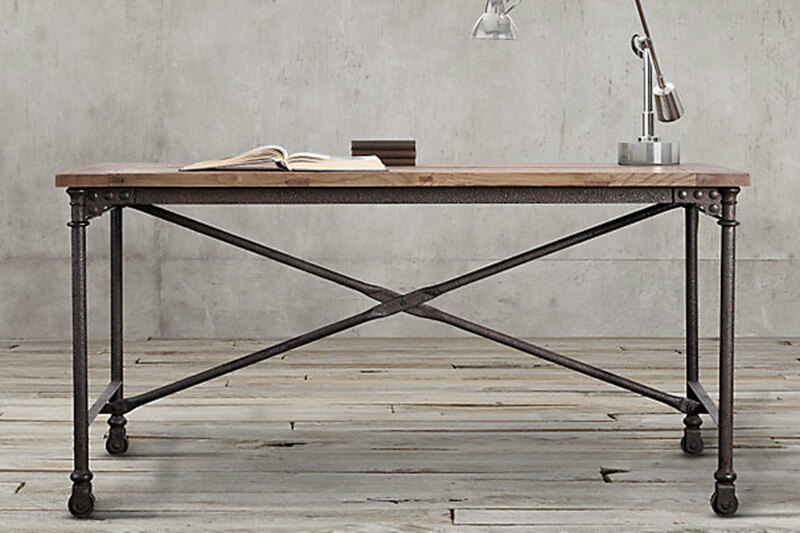 This desk comes with a steep price tag of $2095 from Restoration Hardware. 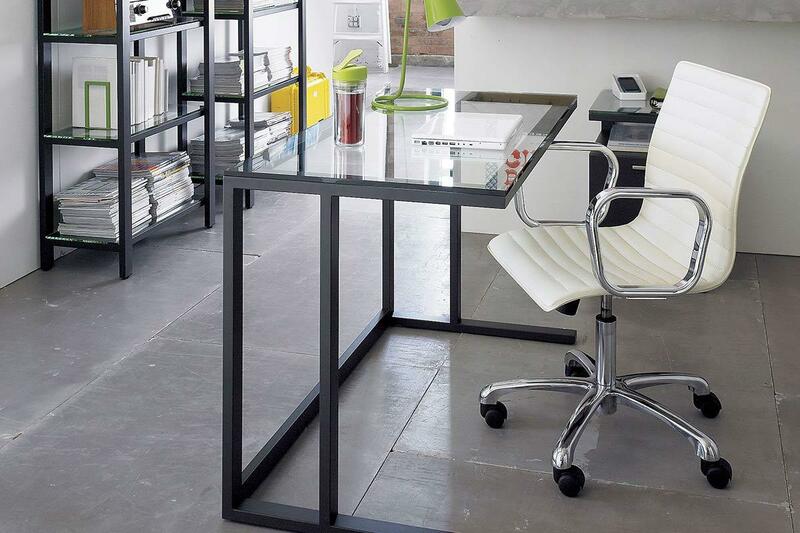 This trim and narrow desk will fit into those small spaces while not taking away from your industrial style. The iron work on this piece is superb and the minimalist design will allow it to fit in just about anywhere. Pick it up from CB2 for $499. This large and modular desk from Restoartion Hardware perfectly evokes the need for practical furniture in the 1940s. 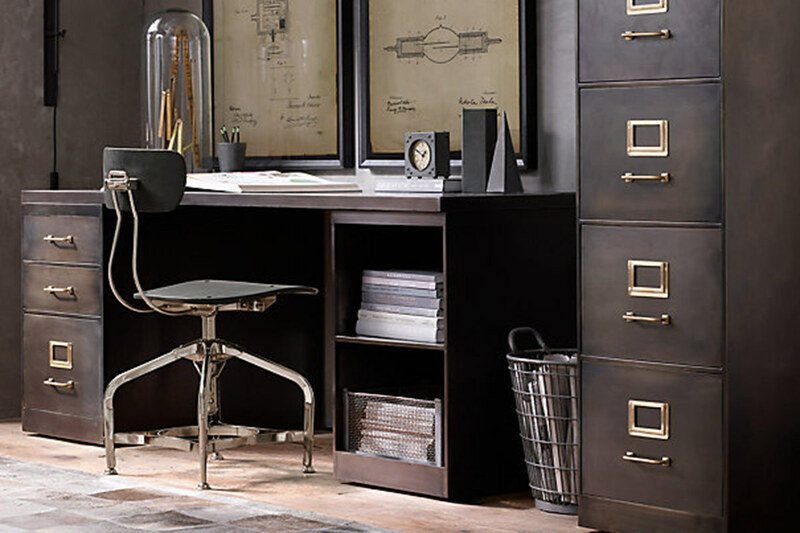 Large drawers and lots of work space can be had for $1795 from Restoration Hardware. Shock and awe isn't all you'll get from this desk. 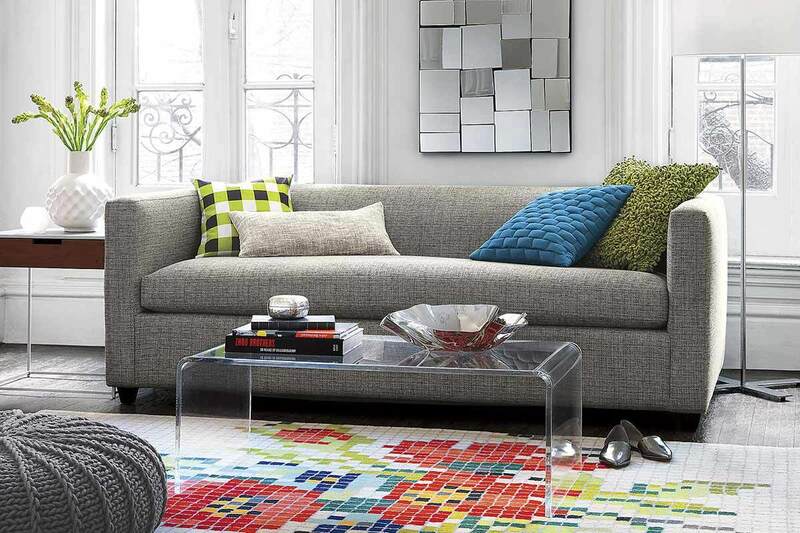 The style of your home office or apartment can be centered entirely around this magnificent piece. 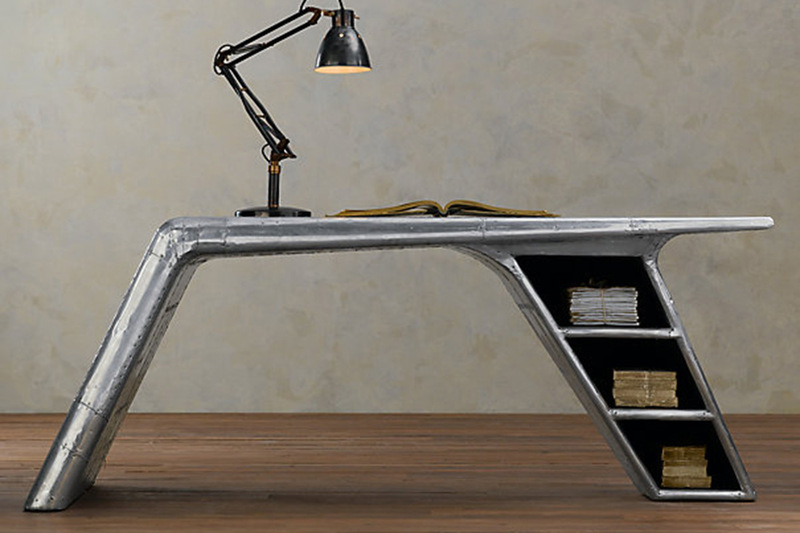 The Aviator Wing Desk can be picked up (or flown) from Restoration Hardware for $2395. 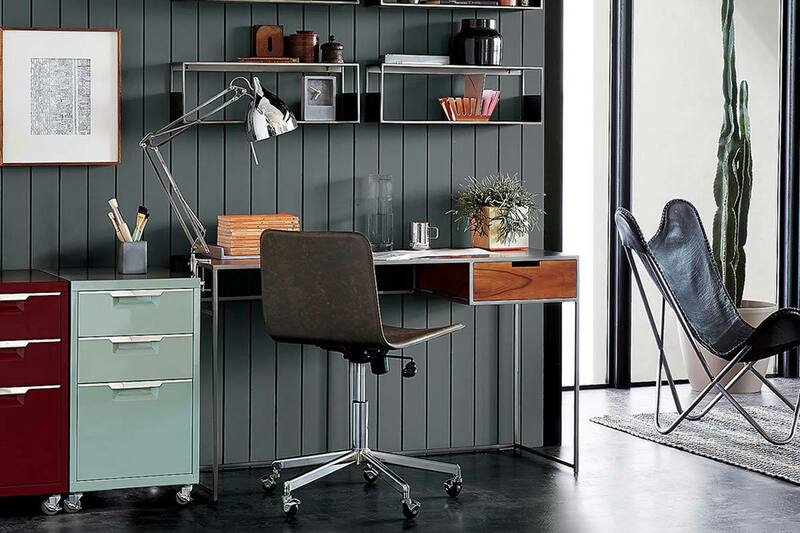 It might sound more like a vehicle than a desk but this piece from CB2 happens to be one of our favorites. Its simplicity and affordability make this a great choice for someone looking to make their space more industrial. 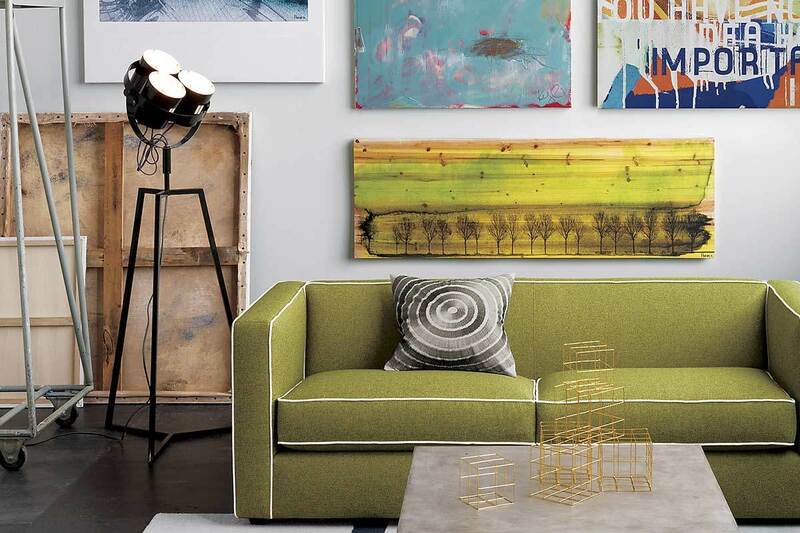 The best part is it can be purchased for just $149 from CB2. Now this desk doesn't come cheap but boy do you get a lot! The modular 1930s French Postal desk comes with built in shelving and an adjustable leather upholstered stool. The worktop is also covered in leather and provides quite a bit of workspace considering the compact design of this desk. You might have to save up for this one but we think its worth it for $2995 from Restoration Hardware.